It’s not the equipment, it’s what you do with it. The majority of feature films are shot on expensive cameras but occasionally there are exceptions. “The Possession Of Hannah Grace” which hit theatres just after Thanksgiving, was shot with the Sony α7S II. 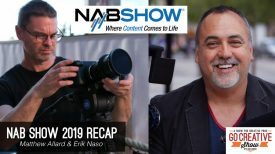 Even though the film was shot with a readily available, consumer full frame mirrorless camera that costs less than $3,000 USD, the production still used very expensive Hawk 65 1.3x anamorphic lenses from Vantage. This included primes as well as the 80-180mm T2.8 zoom. The production was delivered in a 2.35 : 1 aspect ratio. The Sony a7SII can’t shoot in any type of anamorphic modes. 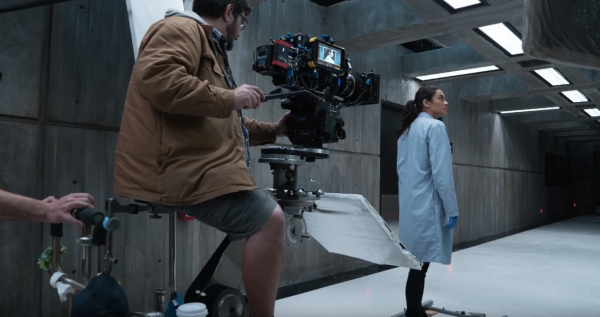 All they were doing is shooting 4K 16:9 and by using 1.3x anamorphic lenses they could record an image with a wider aspect ratio than the sensor’s native aspect ratio without cropping the image. As you aren’t cropping into your image, this helps to maximize the resolution you can obtain. The camera is only a small part of any production, and any camera, even an α7S II, can produce good results in controlled conditions in the right hands. 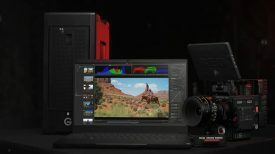 To me, it looks like they just ended up making more work for themselves by having to build out enormous rigs to make the a7SII usable and functional on a movie set. 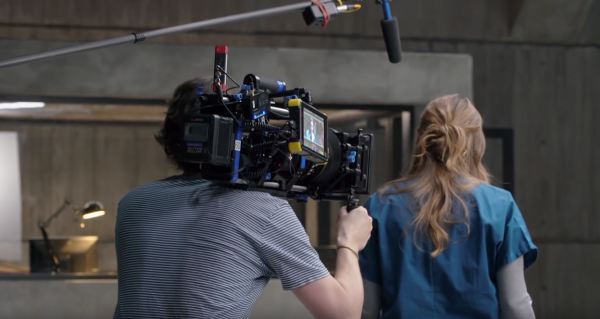 According to director of photography Lennert Hillege, the camera-lens combination breaks new ground for anamorphic productions, allowing the production to access the beauty and unique aesthetics of anamorphic imagery on a tight budget. This combination just happened to be perfect for the script and the budget. 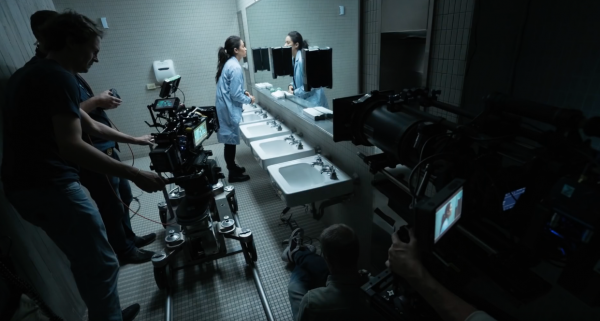 “The Possession Of Hannah Grace” still had a budget of $9,500,000 USD (estimated), so they could have easily chosen to use any camera they wanted, but when this was shot in 2016, cameras such as the Sony VENICE and ALEXA LF weren’t available. Being a Sony picture, the company obviously had some say and influence over the equipment being used. 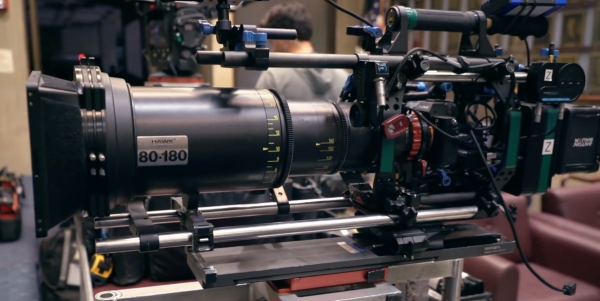 The camera is only a very small part of any budget on a major production. 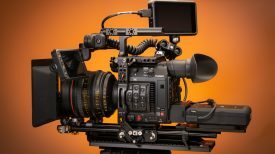 It’s slightly ironic that the production said they were interested in shooting with a very lightweight camera, yet they built it out to a size that makes it no smaller than what an ARRI ALEXA MINI or RED package would end up being. 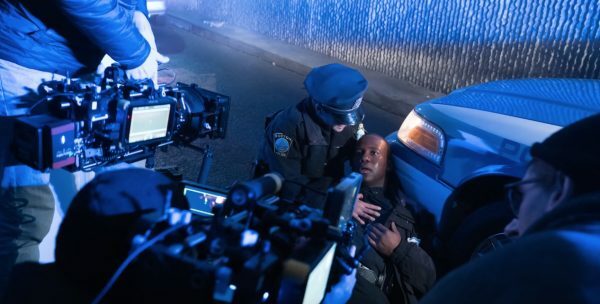 There is no doubt that the camera is capable of producing good results in the right hands, but this whole thing feels a little like it’s a publicity stunt to attract attention to a movie that hasn’t exactly received great reviews from film critics. It’s a bit of a pity that all the publicity surrounding this film is based on what camera they used and not that making a movie is a collaborative effort that depends on so many people and departments. What is your take on this? We would love to hear your opinion, so leave a comment below.